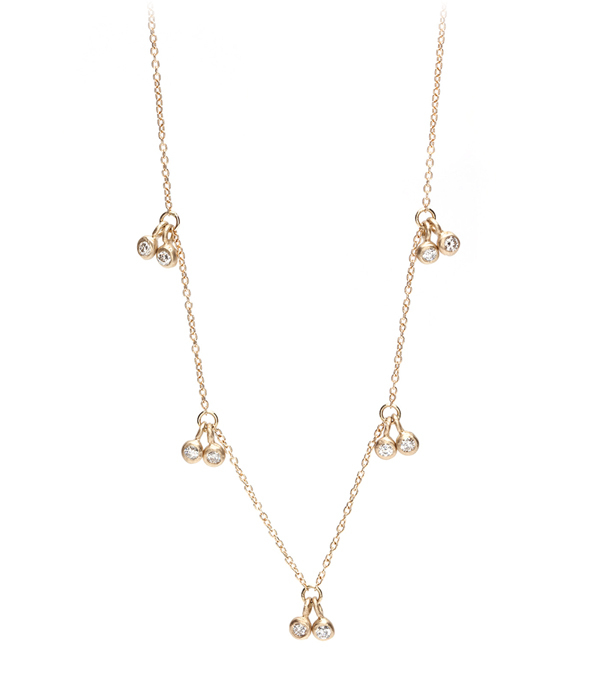 This gold layering diamond dangle necklace might be the perfect layering chain! Five pairs of playful diamond cherries dangles sparkle with your every move. We love this necklace draped with your favorite set of charms or equally on its own, adding a touch of sparkle to any outfit! This gold layering diamond dangle necklace measures 20 inches. Categories: Modern Bohemian, Necklaces, Regency.